well, its official. we now have a 6th car. 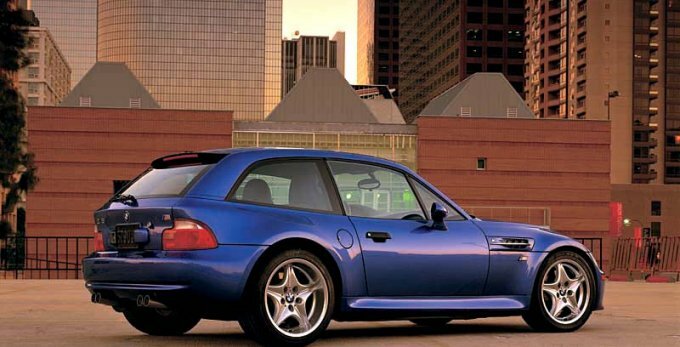 my dad just bought a BMW M Coupe off of eBay. he paid $20,500 for it and is having it delivered to him by the end of the week. it has 54k miles and is blue, with a 5 speed. hopefully i'll get to drive it sometime when i learn to drive a manual. i am right now. Do you have any pics? What are your other 5 cars? There are lots of "M coupes"...what exactly did he buy? Whatever it is...I'm jealous anyway. I used to like those alot but now i'm not so sure about the shape.. But 325 bhp can't be bad...! I like those two...they are really cool looking...just how I like those hatchback 318i's...ya know...that they dont make anymore...anyone remember those? You mean the 316i/318i/320i/325i compact? Ummm... STi, they still make them.. lol..